Exercise Wise Owl is an important regular training exercise for RNZAF pilot trainees. 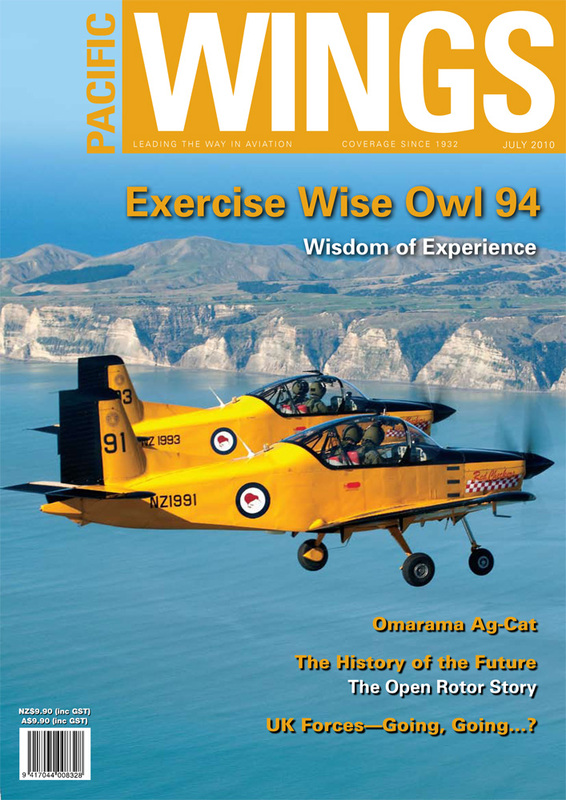 Rob Neil joined the RNZAF at Napier for the 94th Wise Owl, held this time at Napier. Pacific Wings’ UK correspondent Peter Cooper discusses the unfortunate decline of aviation assets that is affecting all of the UK’s armed forces. More than a few Grumman Ag-Cats are finding new leases of life as passenger carriers with niche operators like Omarama-based Aviation Adventures Limited. Chris Rudge tells the story of his new company and its Ag-Cat. The future of aviation propulsion technology has already been partially written in history. Rob Neil re-visits the development of “open rotor” technology that was sidelined only by a coincidence of social and economic circumstances. A hectic flight-test programme is underway for the Airbus A400M, which came within a whisker of being cancelled before it flew. At the recent Airbus Innovation Days, Fernando Alonso, Airbus’s head of flight operations and senior vice president of flight and integration tests, summarised the now successful test programme, as Rob Neil reports. Don Harward highlights a few of the trials and tribulations of flying missions in a war zone while simultaneously defying the ravages of REMFs—the clerks and wanna-bes inside the fence.